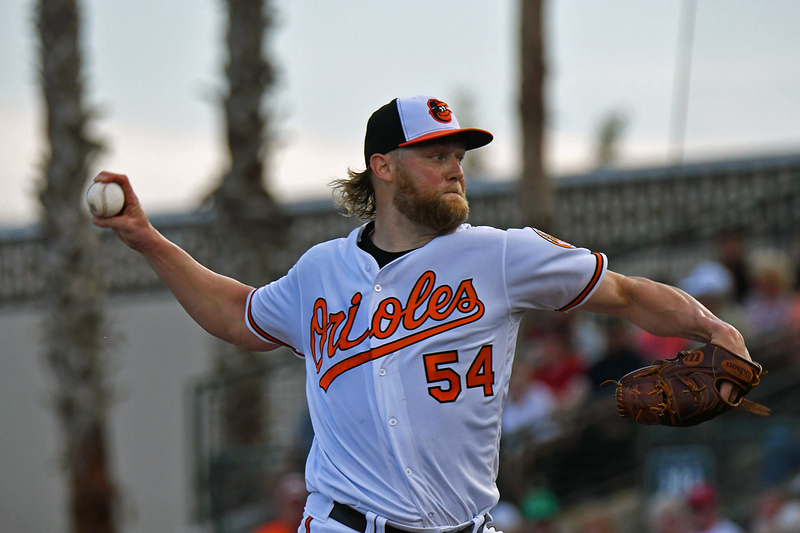 With Spring Training right around the corner, the Baltimore Orioles are set to kick off the festivities with their fourth-annual Sarasota Springfest event. Taking place on Saturday, February 16th, Orioles centerfielder Cedric Mullins will take part in a Q&A session, with MASN’s Roch Kubatko emceeing the event. The Orioles invite fans of all ages to celebrate the start of Spring Training at Sarasota Springfest, a free family-friendly event at Ed Smith Stadium on Saturday, February 16. Along with watching Orioles pitchers and catchers practice on the back fields, fans can also enjoy games and interactive activities in the stadium from 9:00 a.m. to 1:00 p.m. ET. The fourth annual Sarasota Springfest event will feature a question and answer session with Orioles outfielder CEDRIC MULLIINS at approximately 12:30 p.m. Fans will once again have opportunities to play catch on the Ed Smith Stadium field, take a behind-the-scenes tour of the ballpark, and participate in a “Pitch for Charity” event to benefit Miracle League of Manasota. Outfielder Cedric Mullins, a 13th round pick by the Orioles in the 2015 First-Year Player Draft, made his Major League debut in August of last season after successfully progressing through the minor league system. Throughout the minors and in Baltimore, Mullins participates in community events during the season and the offseason. MASNsports.com beat writer ROCH KUBATKO will emcee the Q&A session. Field conditions permitting, two sessions of “Have A Catch” will be offered on the main field, at approximately 10:00 a.m. and 11:30 a.m. Access is first-come, first-served, and participants must bring their own gloves and sign a liability waiver. Orioles event staff will provide stadium tours every 20 minutes beginning at 10:00 a.m. Fans will see areas not usually open to the public, including the press box, World Series Suites, Home Plate Suite, Third Base Lounge, and visiting team’s clubhouse. “Pitch for Charity” is scheduled for approximately 12:00 p.m. at the Left Field Pavilion. Fans may purchase balls, ranging in price from $3-$10, at the event entrance and test their skill by pitching from the Pavilion into a target on the main field. All proceeds support Miracle League of Manasota, an organization dedicated to providing an opportunity for every person to play baseball, regardless of their ability. Fans can also earn Orioles-themed prizes based on their pitching accuracy. A day at the ballpark would not be complete without terrific food options for purchase, and Springfest will be no exception. Jimmy’s Famous Seafood will return with award-winning crab cakes inspired by Baltimore’s popular seafood restaurant. Culver’s and Chick-fil-A also will offer their own signature menu items, while ballpark fare will be offered at the concourse concession. Access to Springfest will be through the Left Field Gate adjacent to the East Lot off of 12th Street and Tuttle Avenue, where free parking will be provided. Guests under the age of 18 must be accompanied by an adult. For more information, fans may visit Orioles.com/Springfest. Media planning to cover Springfest may apply for credentials online at credentials.mlb.com under the event named “Feb 16 BAL Camp”. Fans are invited to watch Orioles workouts on the back fields at the complex each day from February 13 through February 22 from approximately 9:30 a.m. to 12:30 p.m. The first full squad workout will be held on Monday, February 18. There is no charge to attend, and parking in the East Lot is free. 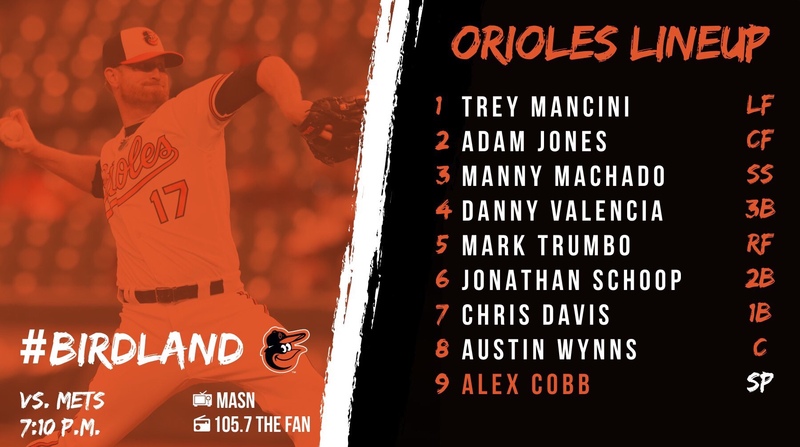 The Orioles will play their first of 17 home Spring Training games in 2019 at Ed Smith Stadium on Saturday, February 23, at 1:05 p.m. against the Minnesota Twins. Spring Training game tickets, as well as Orioles merchandise, will be available for purchase during Springfest. ONLINE: Spring Training tickets can be purchased at the Orioles’ official website, Orioles.com/Spring. PHONE: Individual game tickets can be purchased by phone by calling 800-745-3000. Season, five-game flex-plans, group tickets, suites, and other specialty areas are available by calling 941-893-6312. AT THE BALLPARK: Individual game tickets can be purchased in person at Ed Smith Stadium in the Left Field Ticket Office, located at 12th Street and Tuttle Avenue. The box office will be open through February 8 Monday through Friday from 10:00 a.m.